Under the Operation Nest Egg programme, eggs and young chicks are incubated artificially. The chick is kept safe until it is large enough to fend for itself in the wild. 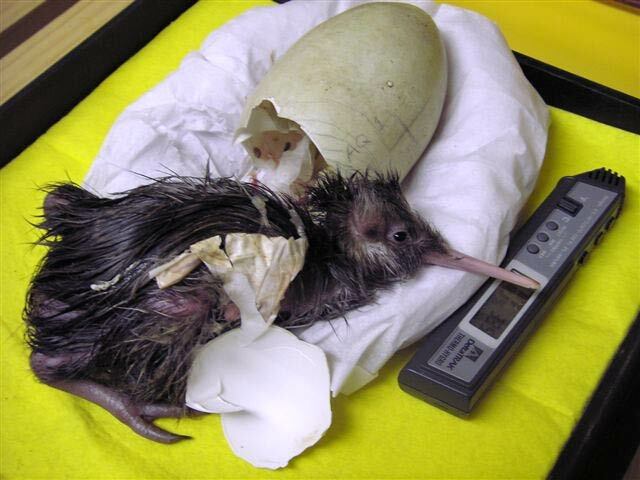 This Ōkārito brown kiwi (rowi) chick rests after hatching at the Willowbank Wildlife Reserve in Christchurch. Since there are only about 250 surviving rowi, the care given to individual birds makes a real difference to the species’ future.